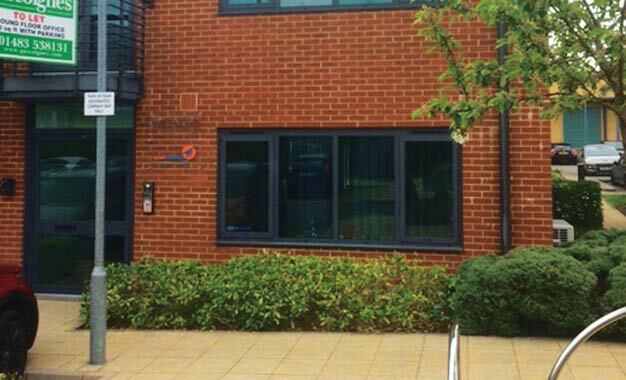 Gascoignes Commercial Offices to let and for sale | Unit 3 Beaufort, Railton Road, Guildford. GU2 9JX. Unit 4 Beaufort, Railton Road, Guildford. GU2 9JX. Parklands is a fully integrated office village forming part of the larger Queen Elizabeth Park; a comprehensive development situated on the northern side of Guildford. Access is available from the Worplesdon Road (A322) or Saltbox Road, a link between the A322 and the A320 (Woking Road). The subject property comprises a modern office building with brick elevations beneath a pitched, tile-covered roof. The available accommodation comprises a ground floor suite which provides broadly open plan office space with a seperate server room/cupboard. The office also benefits from good natural light and a range of amenities as set out below.